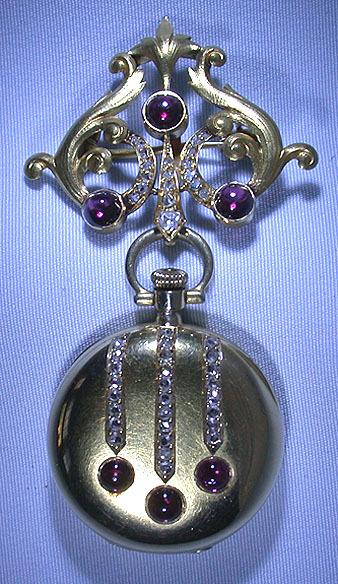 Fine and beautiful Vacheron and Constantin 18K gold, ruby and diamond ladies antique pendant watch with matching pin circa 1907. 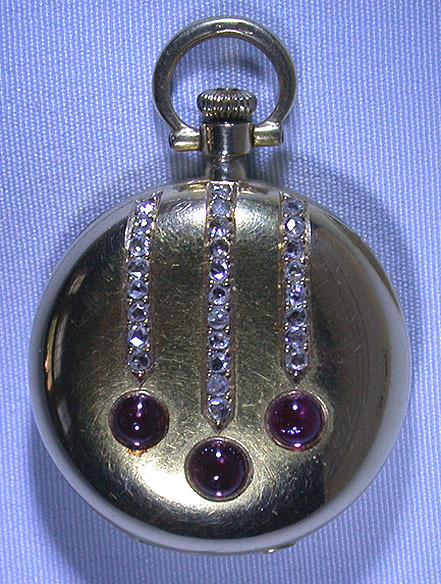 The case and pin set with rubies and diamonds. 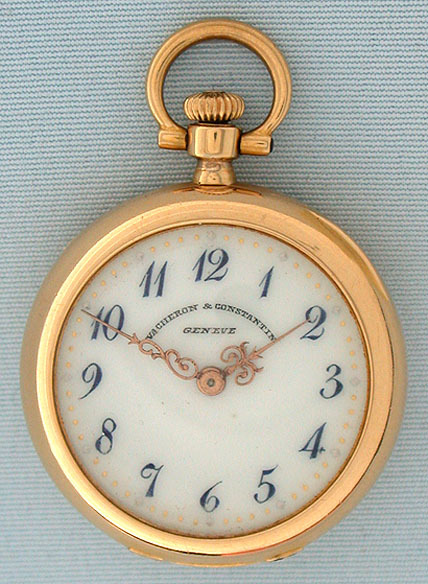 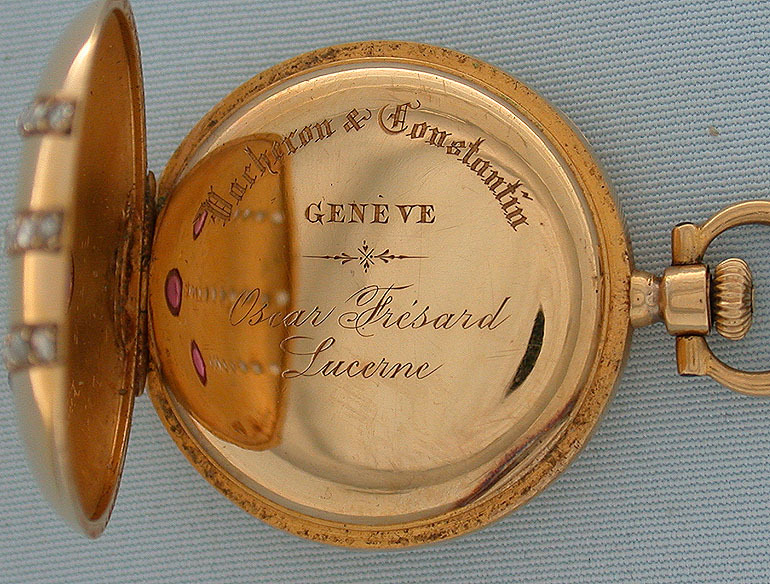 White enamel dial with black numerals, gold and silver minute markers, and fancy gold hands. 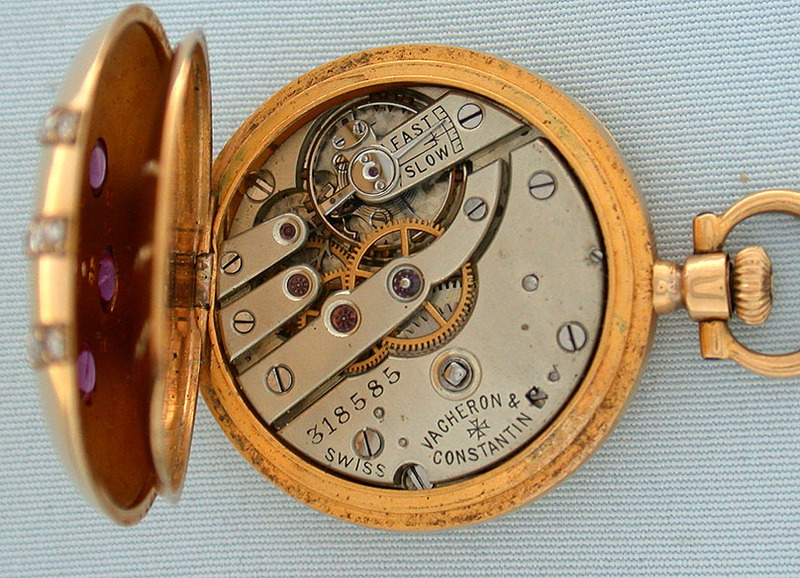 Nickel 15 jewel movement.